A refreshing yet sophisticated fragrance, ideal for Spring or Summer. Tangy ripe grapefruit and fresh mint are layered with Rhubarb and Lavender for an extra level of complexity and depth. This fragrance is infused with natural essential oils including Grapefruit, Mandarin, Orange, Lemon, Thyme, Bergamot and Buchu Leaf. We did not experience acceleration or separation. We observed signs of a partial gel with minimal insulation. We did not see any signs of discoloration and the scent is strong. This would be a good choice to use basic swirl techniques with several colors. 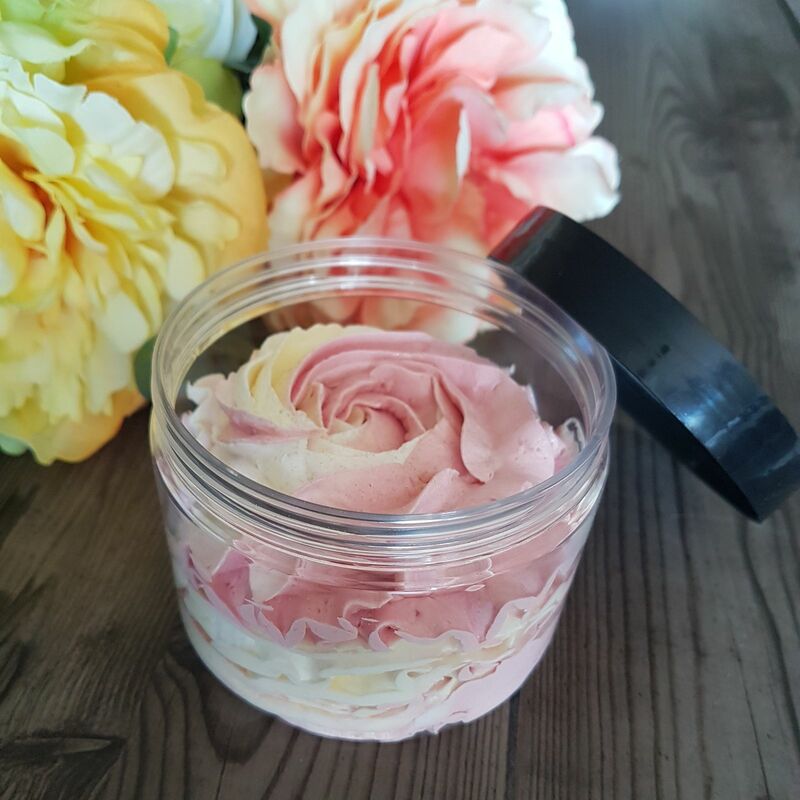 This fragrance is amazing-body, bath products and candles that I have made using this fragrance are always very popular due to the clean and refreshing scent. Highly recommended! Making some quick and simple Christmas gifts for friends. Made a batch of gorgeous bath whip in 15mins. Added the fresh scent of grapefruit and mint, coloured with Yellow Magic Mica, Sweetheart Rose Mica & topped off with a tiny sprinkle of gold Bioglitter. The fragrance is a perfect summer citrus scent. Haylee S. Reviewed by Haylee S.